A stylized shaman is stationed on the canyon’s rim. 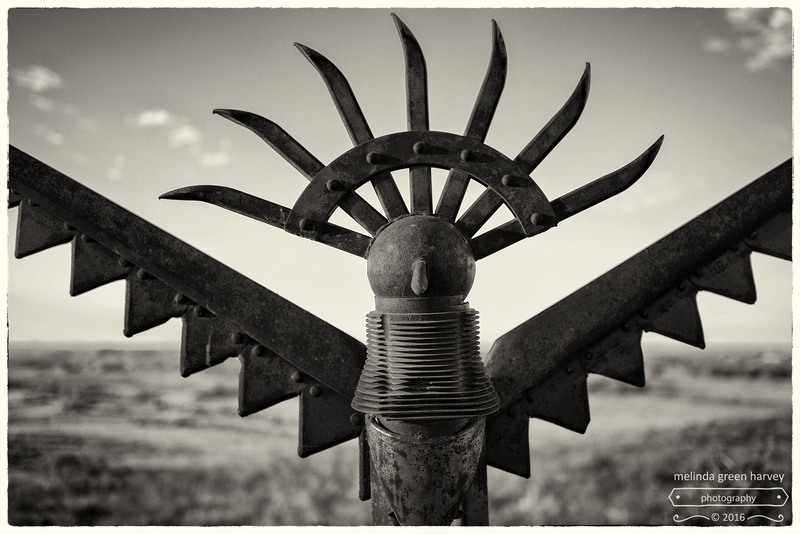 Posted on October 18, 2016, in Photography and tagged 365 photo project, black and white photography, Leica, melinda green harvey, monochrome, one day one image, photo a day, photography, postaday, shaman, texas, yellowhouse canyon. Bookmark the permalink. 4 Comments. Great detail and perfect backdrop. Thanks – this is outside a house where we had dinner the other night. I very nearly got up IN THE MIDDLE OF THE MEAL to make the photo! He’s not to be trifled with! Great shot. Is it wrong of me to wish this fellow lived in MY yard? !